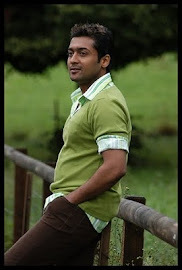 Here are more interesting and never revealed before facts of Surya’s 7am Arivu. According to the sources it is revealed that 7am Arivu revolves around a ‘super machine’, which is brought to India by the baddie, a character played by Vietnamese Johnny Tri Nguyen. “The machine starts giving some problems to Surya and Shruthi Haasan. From then on, a suspense-filled journey gets a kickstart which will take the audience to never seen before places,” sources maintain. Produced by Udhayanidhi Stalin’s Red Giant Movies, ‘7am Arivu’ has music by Harris Jayaraj.